Race Update – Spring in Bozeman! Wow! Just last week we were seeing winter storm warnings in the area. 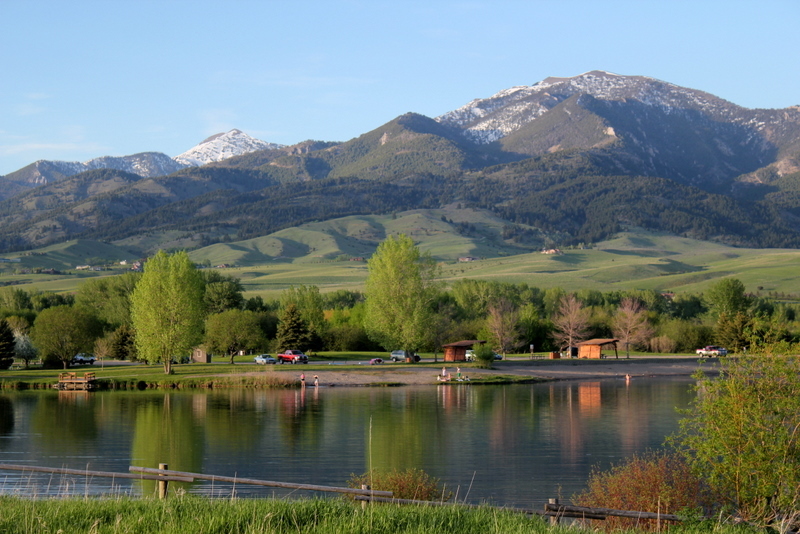 But I just got back from the East Gallatin Recreation Area, the site of the Bozeman Tritons Triathlon, and am pleased to say that I swam! Open water swimming is definitely doable now. A wetsuit is required, but I’ve competed in several races with colder water than what we have in the pond. So this is great news for those training for the race. Thanks to all who have already responded about volunteering. We really appreciate you stepping up and helping out. I just posted the volunteer positions list (Volunteer List). Take a look and let us know what looks good to you. If you are a certified flagger, certified lifeguard, or have a canoe or kayak and are willing to help out with water safety, please let us know. If you are interested in helping out take a look at the list and contact Laurie at laurie.thatcher@gmail.com. Complete race details can be found at www.bozemantritons.org/tritonstri. If you have a question about the race, contact us at racedirector@bozemantritons.org. Train hard and we’ll see you soon!